This was the view from my halls of residence. Not bad hey. 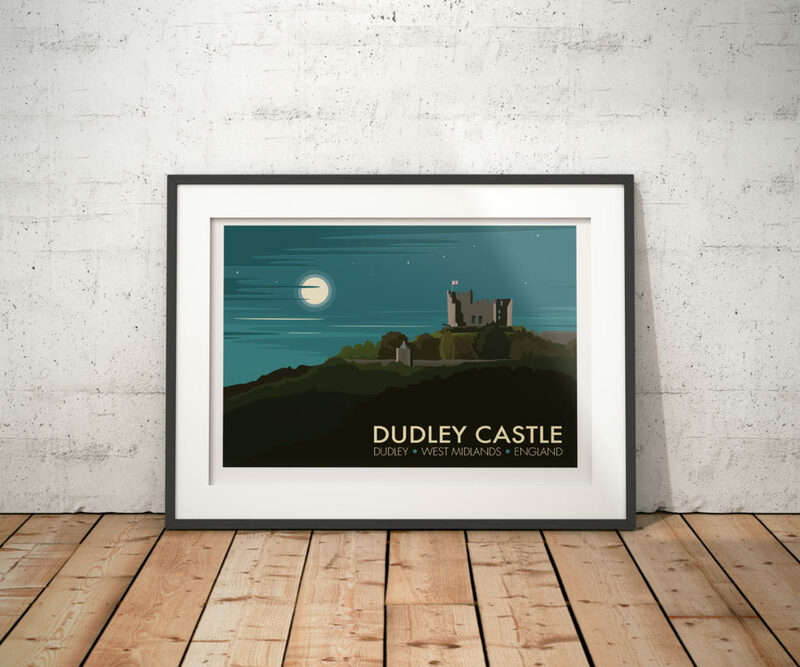 I may have added a little glamour and left out the cable cars and zoo sign, but for two years I was lucky enough to see Dudley Castle from my bedroom window. I went to the University of Wolverhampton but my course was mainly at the Dudley Campus – which sadly doesn’t exist anymore. I recently went back to Dudley for a 20 year reunion party and I had a fantastic time. It was surreal to see all these faces that were once so familiar and it was heartening to see how happy and healthy everyone was. There was a lot of joy in the room. 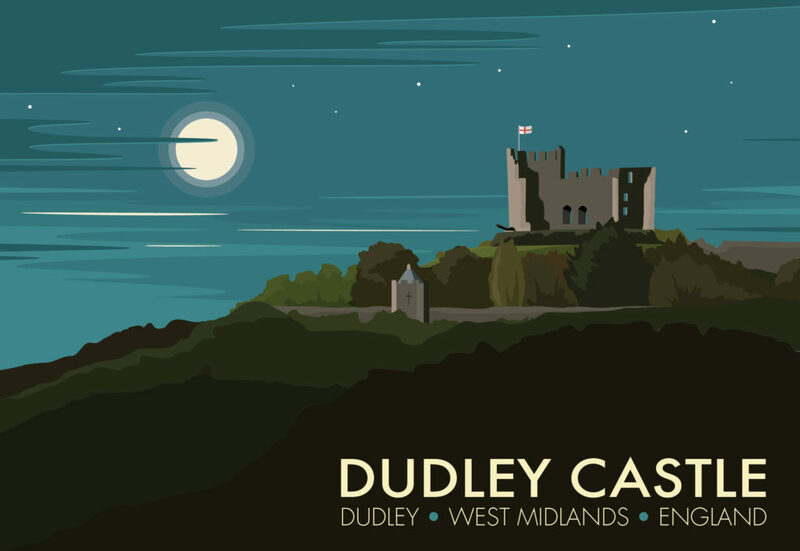 Dudley wasn’t your typical student town – put simply we had to make our own fun. I think that contributed to the fact that the most treasured thing I left university with was the best bunch of life long friends anyone could ask for. As always prints available to buy on Etsy.